Many Fort Greely Family and MWR facilities will have updated hours on Wednesday, September 19th due to an All Hands Meeting. Please take a look at the Hours of Operation below and Spread the word! 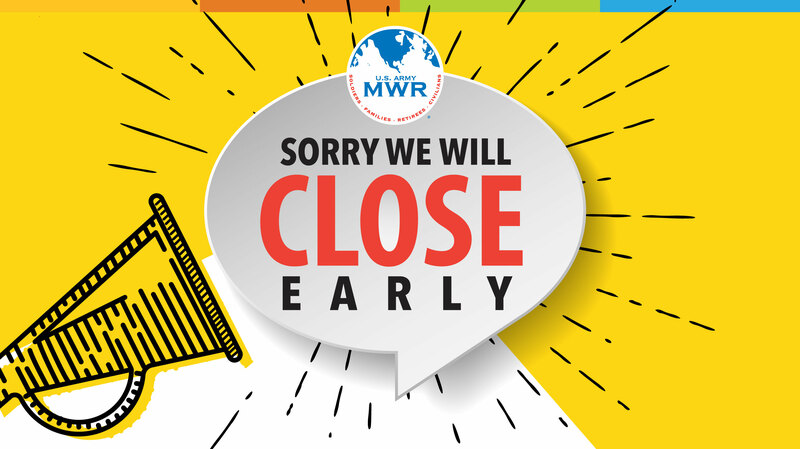 Normal Business Hours will resume on Thursday, September 20th, 2018. The following facilities will be operating in regular business hours.